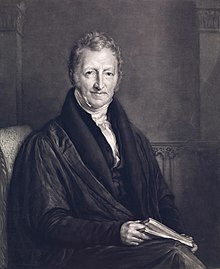 Thomas Robert Malthus (13 February 1766 – 29 December 1834) was an English demographer and political economist best known for his pessimistic but highly influential views on population growth. Every endeavor should be used to weaken and destroy all those institutions relating to corporations, apprenticeships, &c, which cause the labours of agriculture to be worse paid than the labours of trade and manufactures. To prevent the recurrence of misery is, alas! beyond the power of man. Man cannot live in the midst of plenty. I happen to have a very bad fit of the tooth-ache at the time I am writing this. The lower classes of people in Europe may at some future period be much better instructed then they are at present; they may be taught to employ the little spare time they have in many better ways than at the ale-house; they may live under better and more equal laws than they have hitherto done, perhaps, in any country; and I even conceive it possible, though not probable, that they may have more leisure; but it is not in the nature of things, that they can be awarded such a quantity of money or substance, as will allow them all to marry early, in the full confidence that they shall be able to provide with ease for a numerous family. If I saw a glass of wine repeatedly presented to a man, and he took no notice of it, I should be apt to think that he was blind or uncivil. A juster philosophy might teach me rather to think that my eyes deceived me, and that the offer was not really what I conceived it to be. The germs of existence contained in this spot of earth, with ample food, and ample room to expand in, would fill millions of worlds in the course of a few thousand years. The perpetual tendency of the race of man to increase beyond the means of subsistence is one of the general laws of animated nature, which we can have no reason to expect to change. The immediate cause of the increase of population is the excess of the births above deaths; and the rate of increase, or the period of doubling, depends upon the proportion which the excess of the births above the deaths bears to the population. To minds of a certain cast there is nothing so captivating as simplification and generalization. The first business of philosophy is to account for things as they are; and till our theories will do this, they ought not to be the ground of any practical conclusion. The question is, what is saving? If two districts, one of which possessed a rich copper mine, and the other a rich tin mine, had always been separated by an impassable river or mountain, there can be no doubt that an opening of a communication, a greater demand would take place, and a greater price be given for both the tin and the copper;and this greater price of both metals, though it might be only temporary, would alone go a great way towards furnishing the additional capital wanted to supply the additional demand; and the capitals of both districts, and the products of both mines, would be increased both in quantity and value to a degree which could not have taken place without the this new distribution of the produce, or some equivalent to it. ...There must therefore be a considerable class of persons who have both the will and power to consume more material wealth then they produce, or the mercantile classes could not continue profitably to produce so much more than they consume. "Are there no prisons?" said the Spirit turning on him for the last time with his own words. Malthus ... quotes the words of a poet, that the poor man comes to the feast of Nature and finds no cover laid for him, and adds that 'she bids him begone', for he did not before his birth ask of society whether or not he is welcome. This is now the pet theory of all genuine English bourgeois, and very naturally, since it is the most specious excuse for them. If, then, the problem is not to make the 'surplus population' useful, ... but merely to let it starve to death in the least objectionable way, ... this, of course, is simple enough, provided the surplus population perceives its own superfluousness and takes kindly to starvation. There is, however, in spite of the strenuous exertions of the humane bourgeoisie, no immediate prospect of its succeeding in bringing about such a disposition among the workers. The workers have taken it into their heads that they, with their busy hands, are the necessary, and the rich capitalists, who do nothing, the surplus population.